Below you fill find all funeral homes and cemeteries in or near Mays Landing. Suburbs of Mays Landing: Belcoville, English Creek, Scullville, Weymouth. Mays Landing is also known as: Atlantic County / Mays Landing CDP. Zip codes in the city: 08330. Atlantic County funeral flowers can be purchased from one of the local funeral shops we partner with. Some of the notable people born here have been: Droz (wrestler and american football player), Suzette Charles (singer), and Ronnie Faisst (actor). 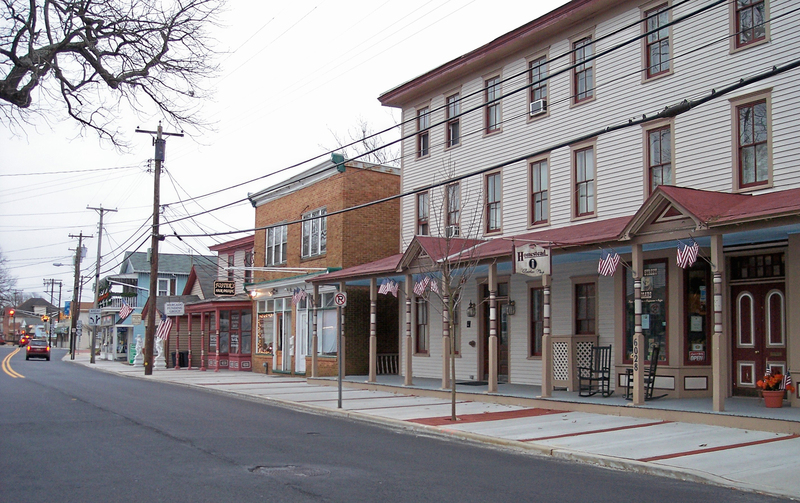 Mays Landing is an unincorporated community and census designated place (CDP) located within Hamilton Township, Atlantic County, New Jersey, United States. At the 2010 United States Census, the CDP's population was 2,135. It is the county seat of Atlantic County. The community was named for Captain George May, who sailed the Great Egg Harbor River in 1740, and purchased land in the area in 1756. It was disclosed by The Daily Journal on February 2nd, 2019 that Nancy Ann Weed (Marandino) passed on in Mays Landing, New Jersey. Ms. Weed was 75 years old. Send flowers to share your condolences and honor Nancy Ann's life. It was revealed on January 23rd, 2019 that Mark Howard Sr White perished in Lakewood, Colorado. White was 78 years old and was born in Mays Landing, NJ. Send flowers to express your sympathy and honor Mark Howard Sr's life. It was disclosed by The Daily Journal on May 4th, 2018 that Donna Marie Ashby passed away in Mays Landing, New Jersey. Ashby was 59 years old. Send flowers to express your sympathy and honor Donna Marie's life. It was reported by The Daily Journal on April 16th, 2018 that Auldice M "Willie" Foster (Wilson) died in Mays Landing, New Jersey. Ms. Foster was 96 years old and was born in Allston, MA. Send flowers to share your condolences and honor Auldice M "Willie"'s life. It was disclosed by The Daily Journal on March 27th, 2018 that Melissa A Ross died in Mays Landing, New Jersey. Ross was 25 years old. Send flowers to express your sorrow and honor Melissa A's life. It was disclosed by The Daily Journal on November 7th, 2017 that Christopher M Weisgerber perished in Mays Landing, New Jersey. Weisgerber was 25 years old. Send flowers to share your condolences and honor Christopher M's life. It was written by The Daily Journal on August 23rd, 2017 that Robert W Pagano perished in Mays Landing, New Jersey. Pagano was 85 years old. Send flowers to express your sympathy and honor Robert W's life. It was revealed by The Daily Journal on August 1st, 2017 that Anna "Addie" Ashby (Bryant) perished in Mays Landing, New Jersey. Ms. Ashby was 98 years old and was born in Macon, GA. Send flowers to express your sympathy and honor Anna "Addie"'s life. It was reported by The Daily Journal on July 27th, 2017 that Benjamin Allen Johnson passed on in Mays Landing, New Jersey. Johnson was 88 years old. Send flowers to share your condolences and honor Benjamin Allen's life. It was disclosed by The Daily Journal on April 25th, 2017 that Louise A Misdeo (Rimann) perished in Mays Landing, New Jersey. Ms. Misdeo was 75 years old. Send flowers to express your sorrow and honor Louise A's life. As of the United States 2000 Census, the CDP population was 2,321. It is the county seat of Atlantic County, New Jersey County . The community was named for Captain George May, who sailed the Great Egg Harbor River in 1740, and purchased land in the area in 1756. Mays Landing is a census-designated place and unincorporated area (New Jersey) area located within Hamilton Township, Atlantic County, New Jersey Township, in Atlantic County, New Jersey County, New Jersey. .
MAYS LANDING, N.J. - A 72-year-old Atlantic City man who was captured ... dating to 1969 that includes 27 arrests and nine convictions in Nevada, Florida, and New Jersey. He served three years in state prison in Nevada on drug charges, Gravitz said. of Riverside, Laura and Sarah, both of Mount Laurel, and Kristin Napolitano and her husband David, who was more of a son than a son-in-law to John, of Mays Landing ... at the Sweeney Funeral Home, 337 Bridgeboro St. Riverside, NJ 08075. Welcome to Boakes Funeral home, Inc. Here are the results for funeral homes in Mays Landing New Jersey. You can find some of the best funeral homes businesses serving Mays Landing. Listing all funeral homes in Mays Landing, New Jersey so you can easily send flowers to any location (same day delivery) or find any funeral service. Listing all cemeteries in Mays Landing, New Jersey so you can easily send flowers to any location (same day delivery) or find any funeral service. The Union Cemetery of Mays Landing, NJ located in beautiful Mays Landing, NJ. We work with local florists and flower shops to offer same day delivery. You will find budget sympathy flowers in Mays Landing here. Our funeral flowers are cheap in price but not in value.